The 76ers can't get a break. Second-round pick Shake Melton will miss the upcoming NBA Summer League due to having a stress fracture in his back. The combo guard will be re-evaluated in three weeks. The Sixers have had a long history of dealing with rookies that missed time due to injuries. The most notable ones were Markelle Fultz, Ben Simmons, Jahlil Okafor, Joel Embiid and Nerlens Noel. Melton suffered his injury during this summer's pre-draft process. The 21-year-old also suffered a season-ending broken right hand. The Sixers acquired Melton with the 54th overall pick on June 21. Melton is a creative passer and excels in transition. The 6-foot-6, 195-pounder averaged 18 points, 4.7 rebounds, 4.4 assists and 1.4 steals. He scored in double-digits in all 22 games he played for SMU this past season. Milton was American Athletic Conference preseason player of the year. He was also on the Wooden Award, Naismith Trophy, Bob Cousy, Luke Olson watch lists. He played three seasons at SMU. 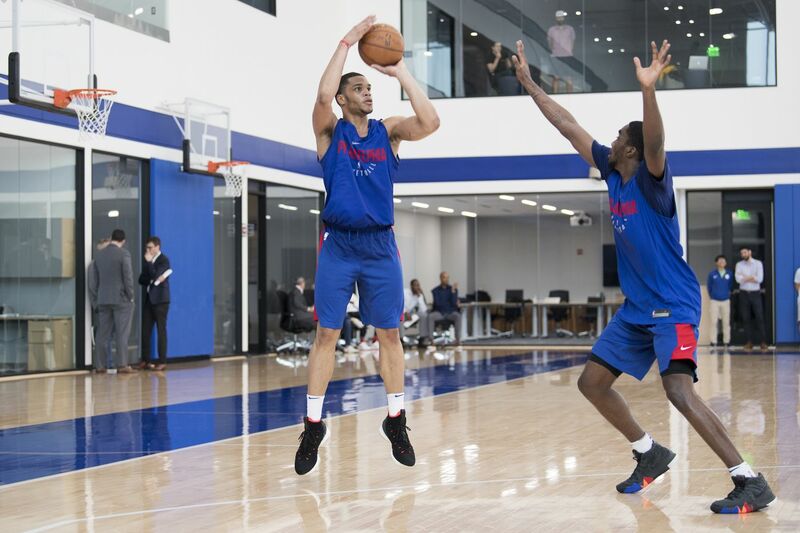 The Sixers begin summer-league training camp today. It runs through Wednesday. The team will travel to Las Vegas on Thursday. The summer league begins Friday and runs through July 17. The team's other rookies are Zhaire Smith and Landry Shamet. The Sixers selected Mikal Bridges with the 10th overall pick and traded him to the Phoenix Suns for Smith, the 16th overall pick. The team also received the Miami Heat's 2021 first-round pick the trade. The Sixers drafted Shamet with the 26th pick.